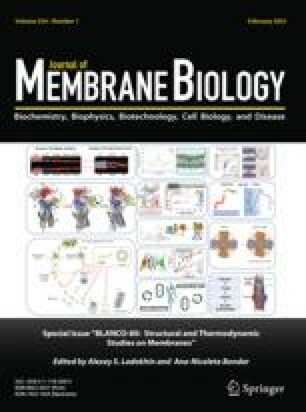 Mammalian skeletal muscle fibers exhibit large slow changes in membrane potential when hyperpolarized in standard chloride solutions. These large slow potential changes are radically reduced in low chloride solutions, where the faster and smaller potential change (“creep”), usually observed in amphibian fibers, becomes apparent. The slow potential change during a hyperpolarizing current pulse leads to an increase in apparent resistance of up to nine times the instantaneous value and takes minutes to reach a steady value. It then takes a similar time to decay very slowly back to the resting membrane potential after the current pulse. The halftime for the slow potential change was found to be inversely proportional to the current magnitude. From measurements of immediate postpulse membrane potentials, assuming constant ionic permeabilities, the internal chloride concentration was calculated to decrease exponentially towards a steady value (e.g., for one fiber from 12.3 to 6.6mm after a 330-sec pulse). The time course and magnitude of the concentration change were predicted from chloride transport number differences, and the known and measured properties of the fibers, and were found to agree very well with the values obtained from experimental measurements. In addition, the shapes of theV2-V1 responses, measured in the three-electrode current clamp set-up with either potassium chloride or potassium citrate current electrodes, were as predicted by transport number chloride depletion effects and were at variance with the predictions of a permeability change mechanism.